Ottersland Dahl Family. 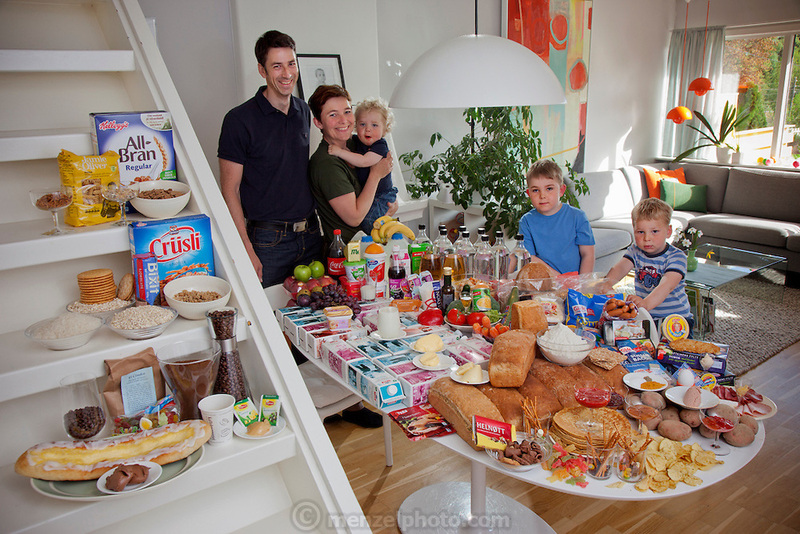 Gunhild Valle Ottersland, 45, her husband Tor Erik Dahn, 39, and their three children, Olav, 6 Hakon, 3, and Sverre, 1.5 of Gjettum, Norway, with their typical week's worth of food in June. Food expenditure for one week: 2211.97 Norwegian Kroner; $379.41 USD. Model-Released.